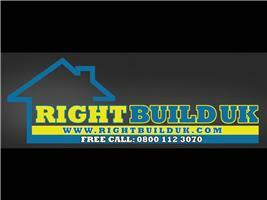 RightBuild UK - Builder, Fascia/Soffits/Guttering, Roofer, Windows/Doors/Conservatories based in Sidcup, Kent. RightBuilduk Ltd are a family run Business with over thirty years of experience within all aspects of the building trade, although we have carried out many commercial projects we concentrate mainly within the domestic trade. Roofing (we have use of a drone so we can show you any damage to your roof). General Building from small work right through to constructing a new build property. All of our staff are trained and certified to the highest level of professionalism and we pride ourselves with the ability to listen to our clients’ needs and requirements and to offer all our help and knowledge from start to finish. For more information, please feel free to visit our showroom, where you will be welcomed by our staff, shown one of our orangeries, fitted with one of Benchmarx kitchens, see the selection of granite work tops we can supply and go through all of your wishes. Making sure that we help turn your home improvements dreams into reality.